Nancy Willards gift for bringing out the whimsical in all of us illuminates this memorable anthology.
" Who Invented Water? " celebrates the craft and magic of creating childrens books. 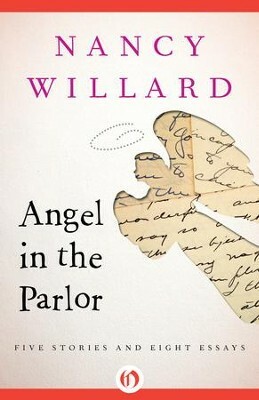 In "Becoming a Writer," Willard admits she dislikes giving and receiving advice. She prefers telling a story, with real-life characters ranging from members of her own family to Jane Austen, Rainer Maria Rilke, and Charles Dickens on stilts. "The Well-tempered Falsehood" explores the fabulist art of storytelling; "The Rutabaga Lamp" is a dreamy, delightful riff on how to read and write fairy tales. In an autobiographical piece, "Her Fathers House," Erica, Theo, and their three-year-old son travel home for the funeral of Ericas father. As the whole family gathers, the heroine is hit with an onslaught of memories, Willard style. "The Tailor Who Told the Truth" is Morgon Axel, who tells nothing but lies . . . until the day a wild boar comes into his shop. This ebook includes an introduction by Robert Pack, former director of the Bread Loaf Writers Conference. Nancy Willard (19362017) grew up in Ann Arbor, Michigan. She was the author of two novels, seven books of stories and essays, and twelve books of poetry, including The Sea at Truro (2012). A winner of the Devins Memorial Award, she received NEA grants in both fiction and poetry. Her book Water Walker was nominated for the National Book Critics Circle Award, and her picture book A Visit to William Blakes Inn was the first volume of poetry to receive the Newbery Medal, the countrys highest honor for childrens writing. I'm the author/artist and I want to review Angel in the Parlor: Five Stories and Eight Essays - eBook.